The latest version supports two types of communication with plotter - through com port and through the driver in Windows. Both options can be useful , especially if you are going to implement contour cutting . Printer driver - in this case, the program will send the data by means of Windows, and an additional parameter is used to select the printer driver , which send jobs . 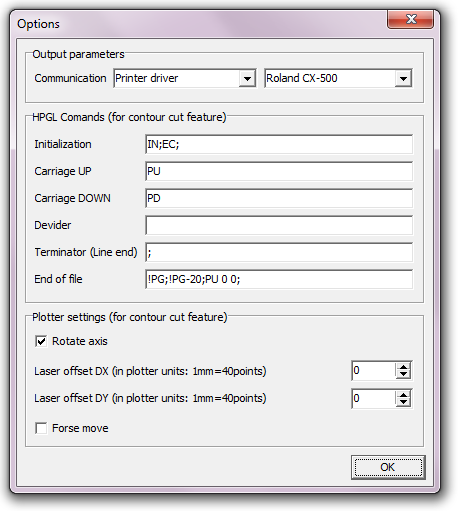 COM port - selecting this option , the program will send print jobs directly to the port. 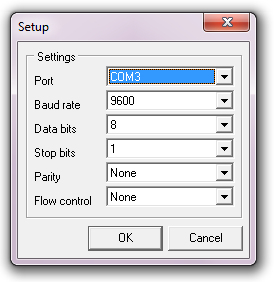 You need to specify the port settings by clicking the "COM port parameters"
HPGL commands - These parameters do not need to touch - they are for communication btween eCom and eCut in contour cutting mode. Rotate axis - when pressed - the carriage is over the right - if not, then over left. Forse move - if the plotter is not stable bypasses point - then try to activate. Well, actually , that's all. If you have questions / suggestions - write, discuss.